In music, the only thing as important as knowing what’s happened is knowing what’s just about to happen. But there’s no prognostication involved in staying a step ahead when it comes to the new year’s schedule of album releases. All you have to do is learn to look beyond the monolithic artists that are already on everybody else’s radar, so you can get a good glimpse of the wider field that’s out there waiting. While everybody else has their eyes on the glittering prize represented by forthcoming records from the likes of Beck and Bruce Springsteen, grab yourself a glimmer of some intriguing albums on the way from artists old and new who are a tad less ubiquitous, covering everything from jazz to country and beyond. With his aqueous tone and fleet fretwork, John Abercrombie has been one of modern jazz’s premier six-string stylists since the ‘70s. His latest outing, with pianist Marc Copland, bassist Drew Gess, and drummer Joey Baron, is full of moody, contemplative tunes that occupy an intriguing, artful space. A guitar stylist of a different stripe, Dennis Coffey is best known for his much-sampled 1971 funk instrumental “Scorpio.” But as this archival live release shows, he was a heavy-duty soul-jazz axeman with a sound full of Detroit grease. Captured at a hometown club show in 1968, Coffey is so hot it’s a wonder he didn’t burn his fingers. Hemby has made her name as a Nashville hit-maker, penning tunes for the likes of Miranda Lambert and Little Big Town, and bringing some cool cred to mainstream country in the process. She finally makes her solo debut with a batch of very personal tunes inspired by her granddad’s Missouri hometown. Jonathan Rado and Sam France have been peddling their idiosyncratic brand of indie pop for over a decade now, but their latest outing is their biggest statement to date. It’s a baroque-pop extravaganza featuring a full symphony orchestra. It even features the wildly gifted art-pop upstarts The Lemon Twigs as the rhythm section. What more do you want? Long Island songsmith Friedman’s a tough one to pin down. One moment he’s turning out harmonically rich Paul Simon-esque art-folk; the next he’s digging into the kind of good ‘n’ greasy Americana groove John Hiatt would kill for. Whichever way he leans, he’s got a killer band following his every move. Eitzel earned himself a stainless rep as the front-man for ‘80s/’90s sadcore saints American Music Club. On his own he crafts quiet, bewitching ballads full of dazzling lyrical twists and turns and a self-effacing black humor we need now more than ever in the wake of Leonard Cohen’s passing. Over the years, this West Coast outfit has achieved a perfect blend of Beach Boys-inflected sunshine sounds, ‘60s psych influences, and old-school power pop, while somehow still managing to maintain a modern edge. This collection of rarities neatly catches you up on the stray gems you may have missed along the way. As the voice of neo-folkies The Carolina Chocolate Drops, Giddens upended all manner of preconceptions about folk music, and on her 2015 solo debut she went even further. The follow-up finds her blending multiple strands of Americana, covering The Staple Singers and Mississippi John Hurt, and offering up plenty of penetrating new tunes from her own pen. The late great folk-country song-poet Guy Clark only got better with age, as borne out by this collection of cuts from the last few albums he released before his 2016 passing. 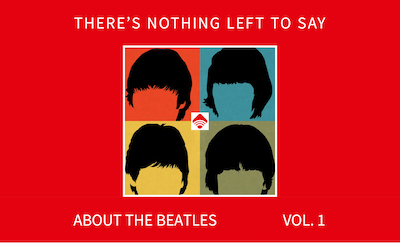 That alone is reason enough to snap up this anthology, but when you add in a trio of demo recordings of previously unreleased tunes, the choice really becomes a no-brainer. PS. It’s not too late to catch up on last year’s best music, courtesy of Jim’s post The Top 13 Albums of 2016. You may also enjoy our posts 31 Concept Albums You May Have Missed and The Who’s 11 Studio Albums: From Great to Glorious.